COP23 special: A diverse group moves from local to global in the fight against deforestation and climate change. Promising to stop cutting down forests is one thing. Actually doing it is another. 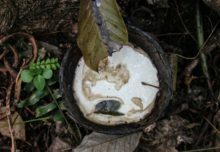 At the recent Governors’ Climate and Forests (GCF) Task Force Annual Meeting in Balikpapan, Indonesia, representatives hailing from disparate parts of the world – and mostly tropical states – met to discuss just how to do that. 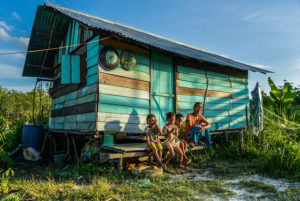 There they launched the Balikpapan Statement, which focuses on sustainable supply chains, the rights and livelihoods of indigenous communities and long-term financing. At the COP23 in Bonn, Earth Innovation Institute (EII), the GCF Task Force and partners will hold a series of events to further the commitments made in Balikpapan. “The GCF Task Force is an innovative global partnership of states and provinces that’s been working for nearly nine years. It’s now up to 38 members and growing. 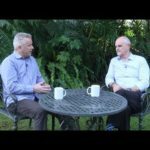 Its purpose is pretty simple and big: helping subnational governments in the tropics shift to forest-maintaining, sustainable development,” said EII Executive Director Daniel Nepstad. 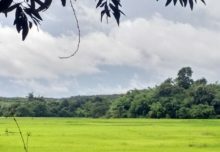 With one focus on implementing the Reducing Emissions from Deforestation and Forest Degradation (REDD+) international framework at the subnational level, the discussions are integral pieces in the puzzle of global climate action exemplified by COP23. “At the international level in negotiating at the UNFCCC, these messages are very important,” she added. With COP23 in Bonn from 6-17 November including a swath of climate discussions from the local and provincial to national, regional and global levels, it is essential that people understand what is happening on the ground in diverse states, in tropical forests, in muddy peat and in tangled mangroves. “I work in a number of provinces like West Papua, East Kalimantan and West Kalimantan that have a lot of potential to be part of climate solutions as far as wetlands are concerned. But wetlands and their role in climate mitigation is not on the radar of many governments, nor are the benefits to keeping them intact and protecting them,” CIFOR scientist Daniel Murdiyarso said at the Balikpapan meeting. At the Indonesia Pavilion at COP23, CIFOR and Indonesia’s Peatland Restoration Agency (BRG) will host a discussion on the collective action required to restore these spaces, which have an integral role to play as carbon sinks and as part of the country’s commitment to reducing emissions. 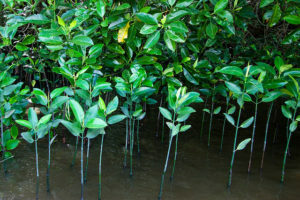 “The Mahakam Delta wetlands in East Kalimantan are one area with carbon-rich mangroves, but they are facing tremendous pressure from the expansion of shrimp ponds,” Murdiyarso said. 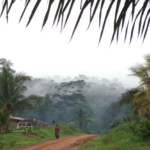 Governance and solving the climate issue go hand-in-hand, and one-third of the world’s tropical forests are in GCF Task Force states and provinces, including more than three-fourths of Brazil’s and Peru’s and more than half of Indonesia’s. At COP23, CIFOR’s side event will look at just such examples of change and what gaps remain in the battles to reduce emissions and halt deforestation, including reflections from a subnational government representative. This realism stems from seeing things clearly on the ground. 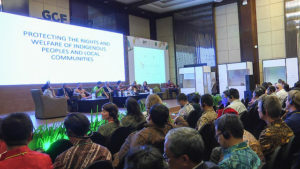 At the meeting in Balikpapan, emphasis was placed on the need for successful local processes, with GCF Task Force chair William Boyd saying, “This is what bottom-up climate governance looks like,” as he scanned a room of representatives from across the world that included indigenous leaders, governors and civil society heads. He suggested one necessary meeting space between such processes could be financing, with Atmadja in agreement. 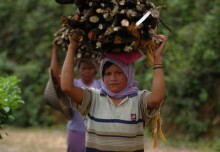 “REDD+ is seen as a way to fund what provinces want to do. For example, from my interviews in Aceh, in general they’re saying REDD+ is a great opportunity to fund our green vision,” she said. At COP23 in Bonn, such intersecting, transnational discussions continue, all with aim of change both big and small.